Status bar is one of the important parts of any device that helpful to show battery percentage, time, app icons, battery icon & style, and other useful info. OnePlus 6T device allows users to change status bar settings they want. 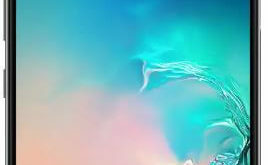 Let see how to customize status bar on OnePlus 6T Pie 9.0. In OnePlus 6T status bar settings, you can see battery style, show battery percentage, display network speed, time and icon manager. Adjust status bar settings in OnePlus 6T you want under display settings. 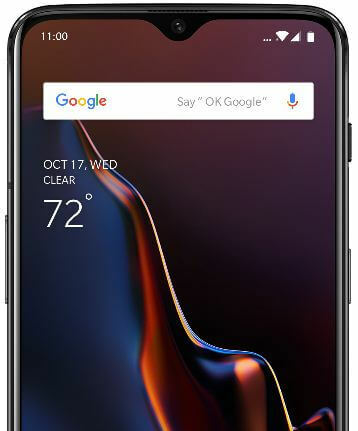 Follow below given step by step process to customize status bar on OnePlus 6T Oxygen OS. One of the important settings for OnePlus 6T status bar is show battery percentage and display network speed. By default turned off toggle in your device. You can customize OnePlus 6T status bar using below settings. In OnePlus 6T display settings, you can see adaptive brightness, sleep time, ambient display, font style & size, wallpapers, status bar, auto-rotate, screen saver and more. You can see below given list of settings you customize in your OnePlus 6T Pie. By default set OnePlus 6T battery style as battery bar. Change battery style in OnePlus 6T status bar to choose from Battery bar / Battery circle (Round icon) / Battery hidden. Disable battery percentage in your OnePlus 6T. To show battery percentage in status bar OnePlus 6T, turn on show battery percentage toggle. If you want to show network speed in OnePlus 6T status bar when activate mobile data in your device, turn on display network speed. By default time set as hours and minutes in status bar on your OnePlus 6T Oxygen OS. 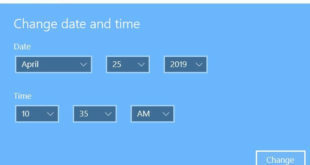 If you want to change time display, choose from options. By default show all icons on status bar in your device. To hide app icon from status bar in your OnePlus 6T, turn off toggle you don’t want to show in status bar. And that’s it. We hope this makes it clear how to customize status bar on OnePlus 6T. Do you still have question about this tutorial? Tell us in below comment box.